Find out more about our unique Insect Control treatment. • Receive exclusive member discounts and offers. • Purchase any product and receive cash back on future orders. * For every $100 spent, earn $5 ultimate cash off your next purchase. 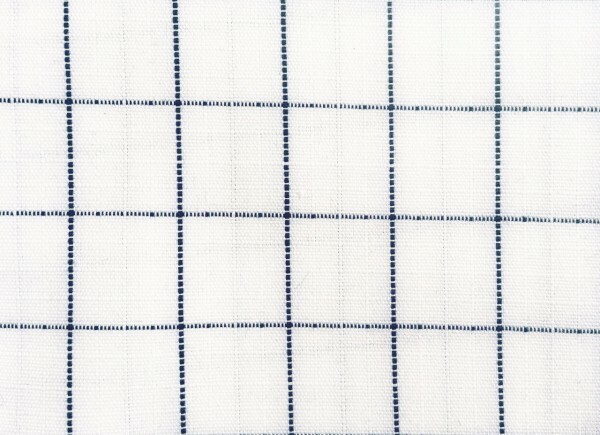 WILD Horse Australia uses a unique patented process that tightly bonds the fabric fibres with Permethrin – one of the most effective natural insect Controls. 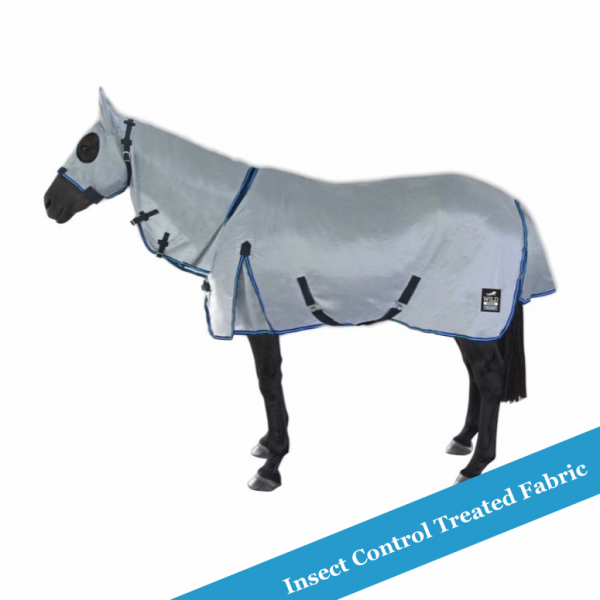 This ensures a long-lasting, odourless and colourless barrier against many common insects, using this process is more costly but the results for long term effectiveness is far better than spray on applications used in other treated rugs. 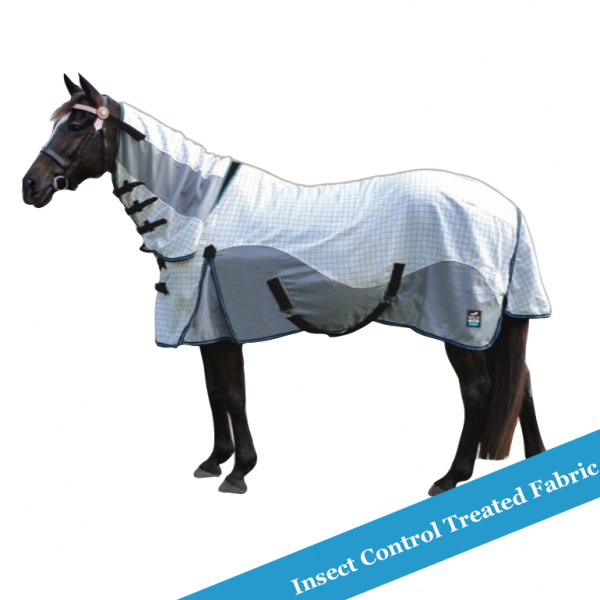 We specialise in producing effective, stylish Insect Control horsewear with an outstanding design that, once you have experienced the difference, you will never go back. 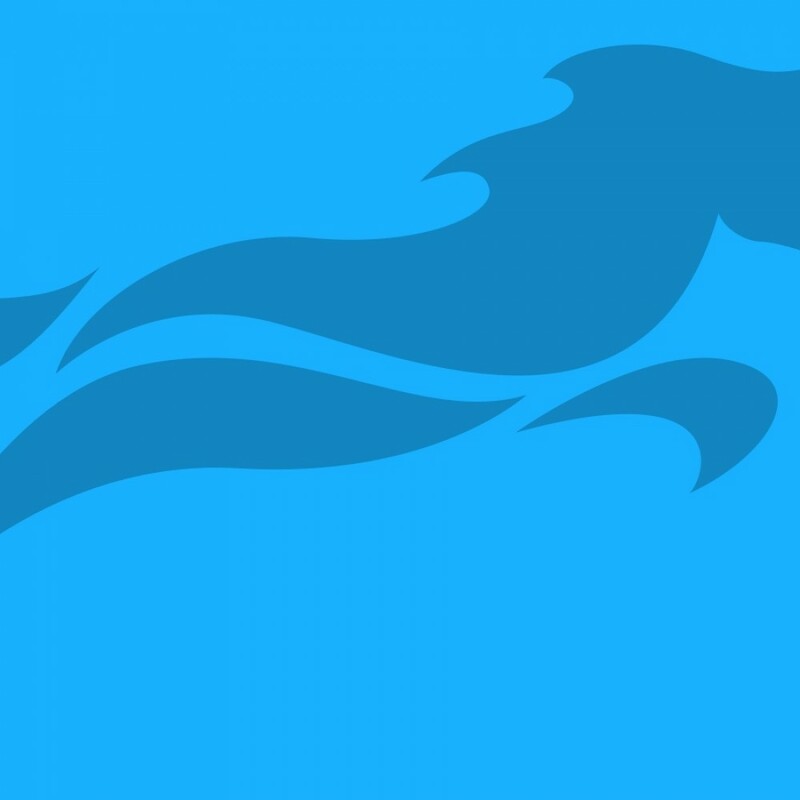 All our products are put through rigorous wear and design tests to ensure that WILD Horse Australia only produce and sell the best available product. 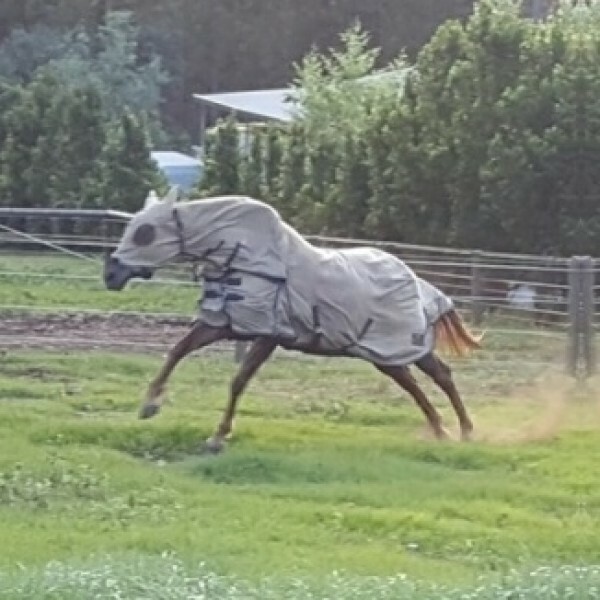 This is my horse after being in a paddock with 50 head of cattle with ticks. We could not spray him with tick spray as he was very sensitive and did not like any sprays. We brought a WILD Horse Ripstop rug with attached hood which we had heard great things about and decided to give it a go. Within three weeks there were no more ticks, the hair had started to grow back and my boy was much happier and healthier in your rugs. I would like to say thank you for saving my boy. 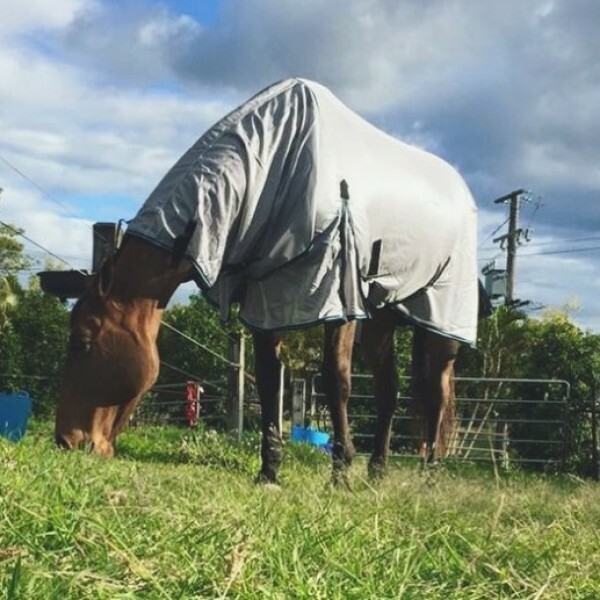 We refer all our clients to Wild Horse Australia when being called out to a horse that is being plagued by insects or has ‘QLD Itch’.I use the Insect Control rugs on all my own horses and when I got my Quarter-horse mare, she had no mane or tail and her skin was very elephant-like. 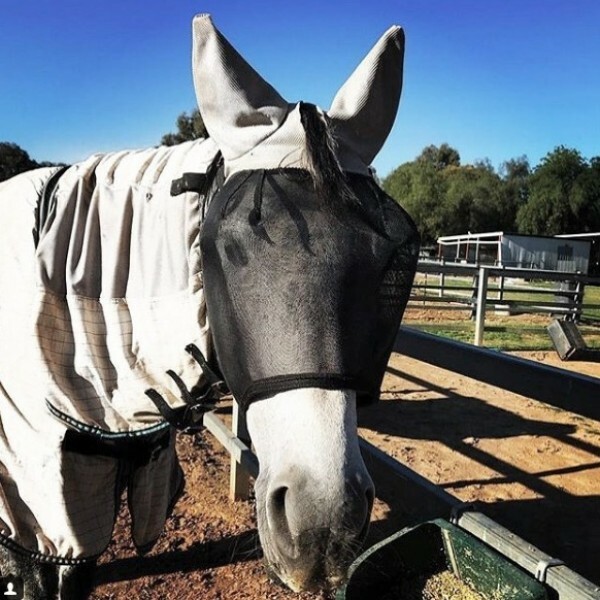 The previous owners had used everything under the sun to no avail but once she was covered with her Wild Horse Rug with attached hood, the change was like a miracle and her hair has now grown back and she is a very happy horse! Dr Nigel Taylor B.V.Sc (University of Qld) | Village Veterinary Care Clinic, Logan Village, Qld. My horse has always been one of those itchy horses – he would scratch himself senseless even removing skin. 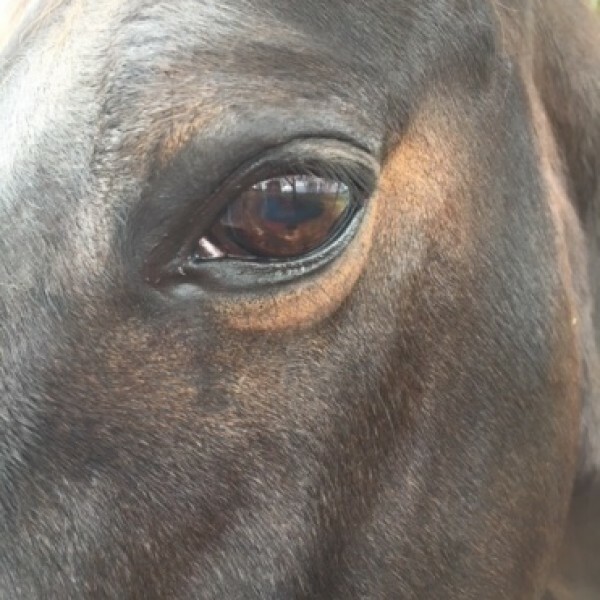 Just over 5 years ago my horse developed chronic non-healing eye ulcers which turned out to be related to his allergies resulting in the need for eye surgery. I have struggled every spring/summer to manage eyes (and coat), desperately trying to keep the flies, mosquitoes and midges off him. 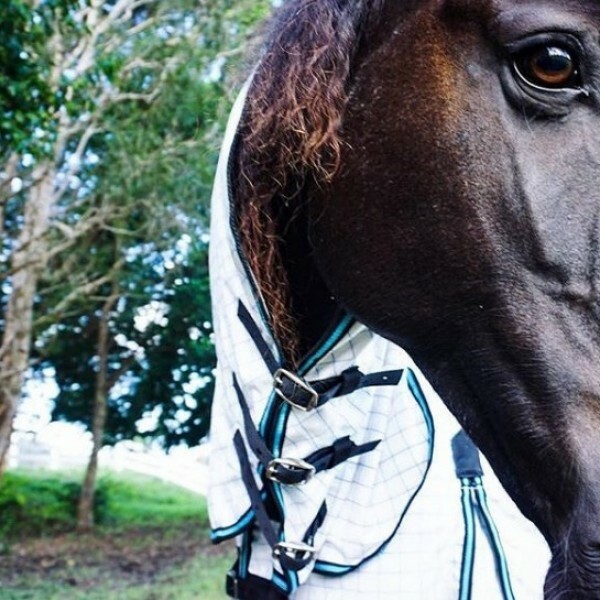 This year I tried a ‘Wild Horse Australia’ fly mask and I was amazed. Within minutes there were literally no flies on him. Within days his puffy weepy eyes settled down – even the Veterinarian was impressed. I have since purchased a mesh combo and I’m equally impressed. 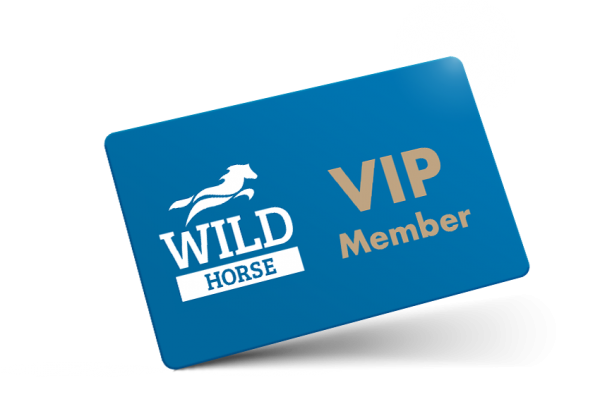 I can’t recommend Wild Horse Australia Products more highly – for both the comfort of your horse and for your piece of mind. I can honestly say that over the many years that I have been struggling to keep my itchy horses comfortable and looking great I think that I have tried every lotion, cream, shampoo, insect repellent and rug on the market! I have been desperate many times and have even resorted to selling my itchy horses to the colder Southern climates just to make the lives of my lovely horses happier.Initially I was a little skeptical about purchasing the 5 new rugs that I needed to protect our itchy horses, but now one year after I spent the money, I realise they are the best investment that I have ever made to assist in the on going battle to protect our itchy horses from the insect bites that can, if left un-treated, result in such hideous irritation, pain, frustration and weight loss. Zelie Bullen | Professional Animal Trainer. I have used these veils for two seasons on my destructive horses and they are still going strong. I would have gone through 3 or 4 other brands of veils in that timeframe. 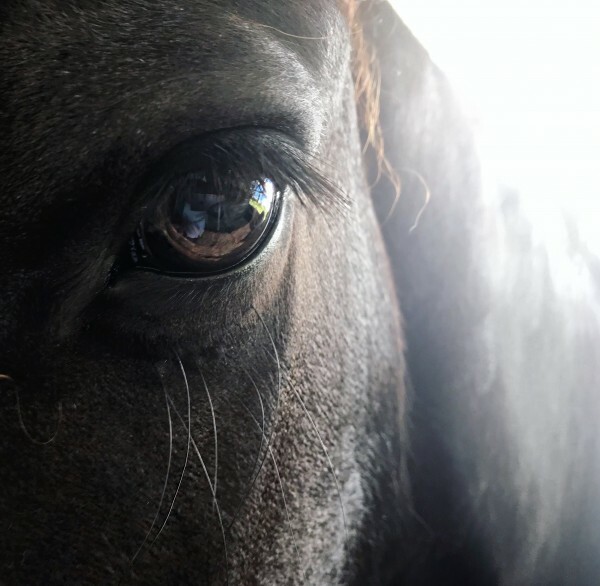 The horses have great vision through them and they also stay on better than others. 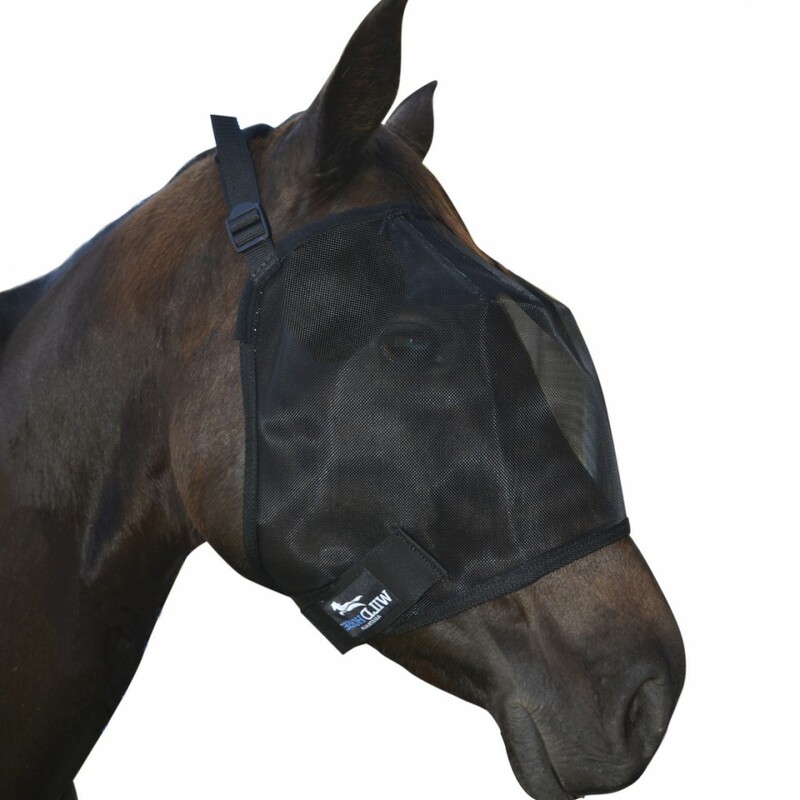 The 3 darts keep them away from the horses’ eyes better as well, although it is more important to fit them correctly due to the stiffness of the mesh. I recommend them to everyone who asks. I always feel for horses in paddocks being bombarded by flies, mossies and midges. 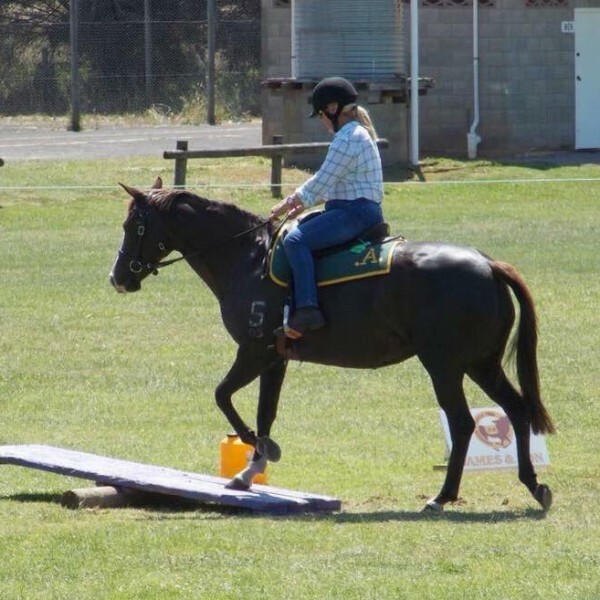 More than most places in the world, Australian conditions make summers tough for our horses. I am for anything I can do to protect them and keep them comfortable in the battle against biting insects. 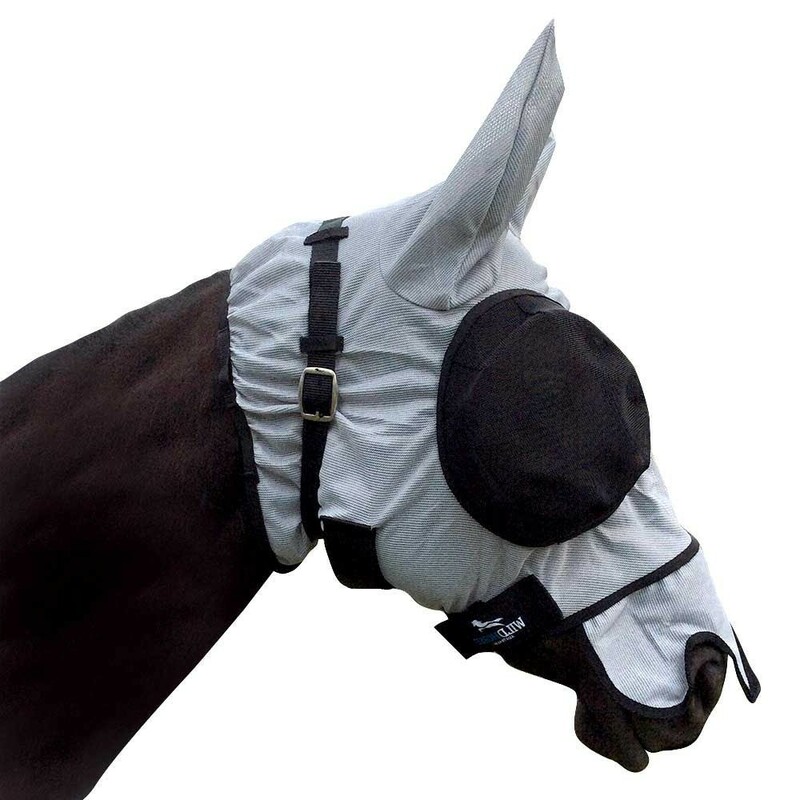 Wild Horse rugs, fly veils and fly masks are a safe and effective way of keeping your horse protected. 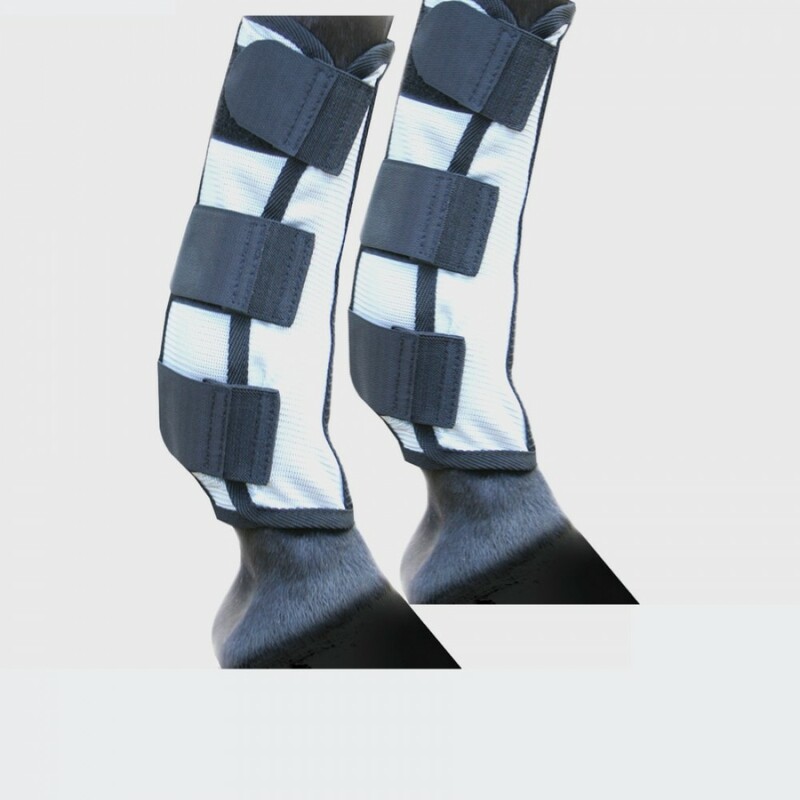 They are a great idea for any horse. I purchased 3 of the Wild Horse fly veils in 2015. Quite impressed with them as they had lasted a year when the “incident” happened. The horses go into their separate yards to have their token hard feed in the afternoon. My gelding has always been a horse who puts his feet on/in anything, this night I think he must have put his feet onto the bottom railing of his yard messing about my old gelding. I came out to let them out about an hour later, noticed the rail broken and went to investigate. Apart from a bit of bark of his leg and belly didn’t see any other damage. Did notice a bit of blood on his nose, so I took his fly veil off and went “Gosh!” or words to that effect. There wasn’t a mark on his fly veil. Five stitches later he is all good and the Vet agreed with me that this Fly Veil saved my horse’s eye. As for the fly veils, it is now 2018 and the same ones are still being used. I REJOICED when I found the WILD Horse Rugs. His life is SO much different now. It keeps the mossies completely under control even with the extra risk of us living by the river with a huge population of mosquitos and midges. He is not getting bitten and in fact for the first time in a long time in summer, he has a beautiful mane and tail (normally they were all rubbed out by mid-December). 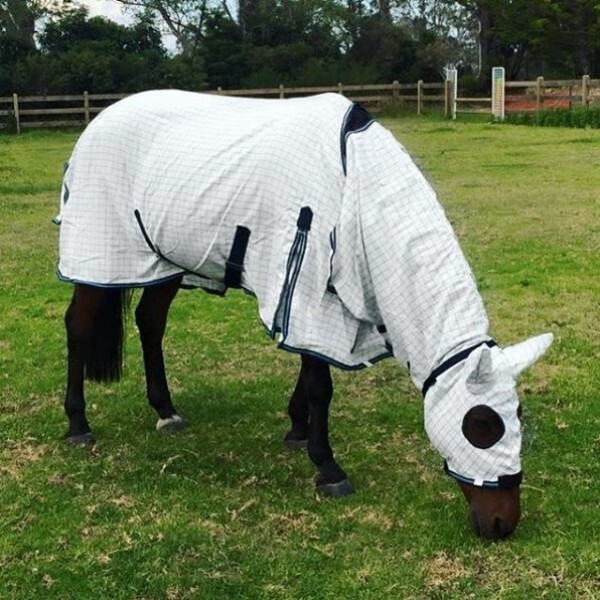 If you have a horse with a sensitivity to biting insects, this is your solution. We have been using Wild Horse rugs on our horses for some time now and have found that their unique design and cut fits any horse we put them on no matter what their size or shape. 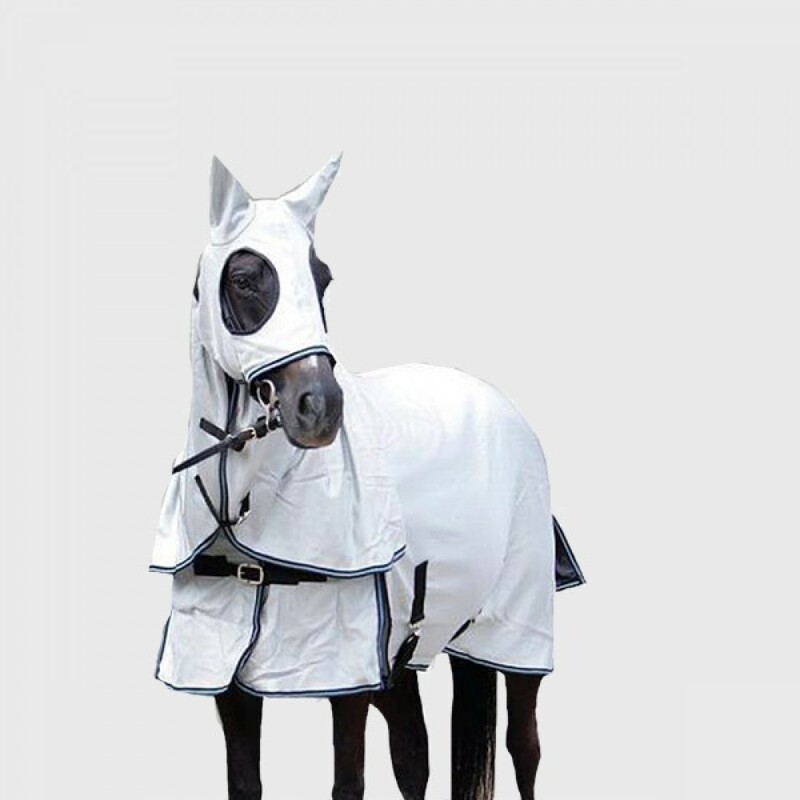 It is the ultimate ‘all round rug’ to protect our horses from annoying and biting insects during the summer. 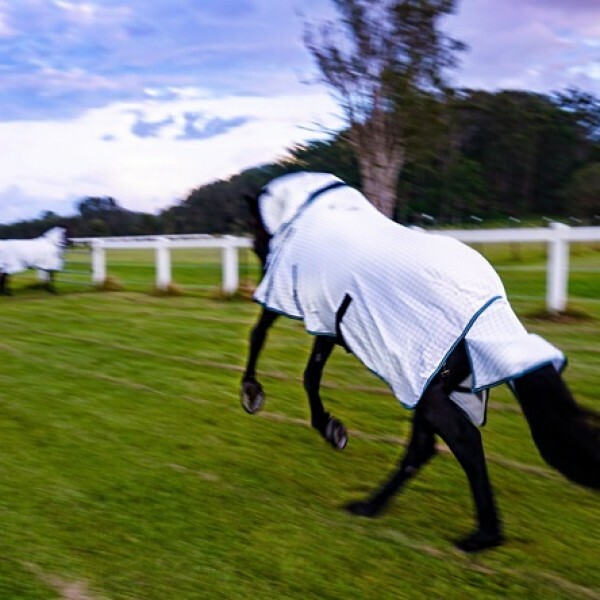 Why not buy your horses a Wild Horse Rug and see for yourself! 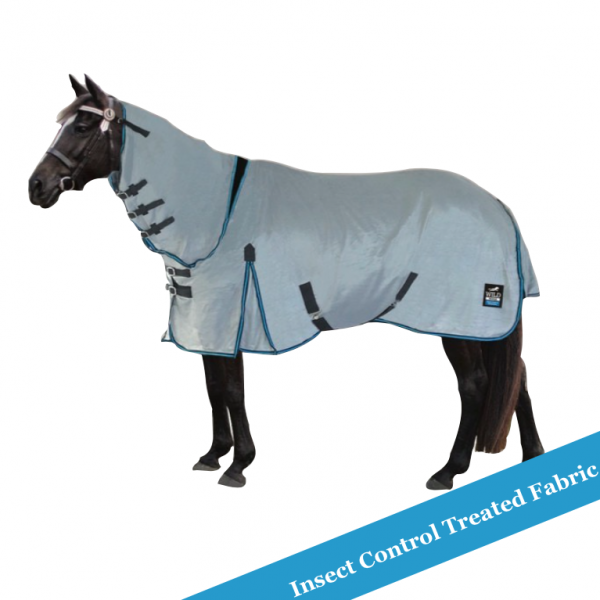 All our horses stay protected from insects with WILD Horse insect control rugs. 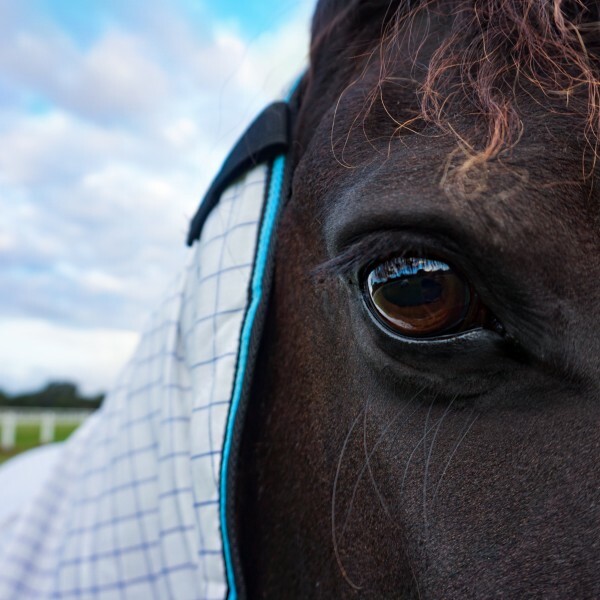 We love the thought they have put into their designs, we love their FlyVeils, the new design nylon mesh allows them better visibility which doesn’t collapse on their eyes and keeps them cooler and more comfortable all round. Our horses love them too.